NYC PREMIERE Deep in the Navajo Nation, one family struggles to honor their ancestry while embracing the future. Lawrence, a single father, is employed by Peabody Energy, a company tearing apart his sacred homeland for coal. As he contends with the contradictions between his work and his heritage, his secretive teenage daughter, Caitlin, finds herself going against tradition to discover her own identity. 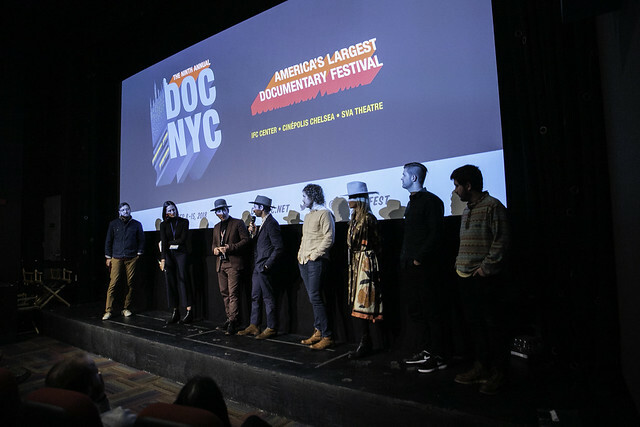 With unparalleled access to reservation life and the palpable trust of their onscreen subjects, filmmakers Hunter Robert Baker and Jordan Fein craft a poetic and deeply moving family portrait. Hover over the image below to see a full album from this screening.